Once again, we will be exhibiting at The Cleaning Show, taking place on 19-21 March 2019 at ExCeL. 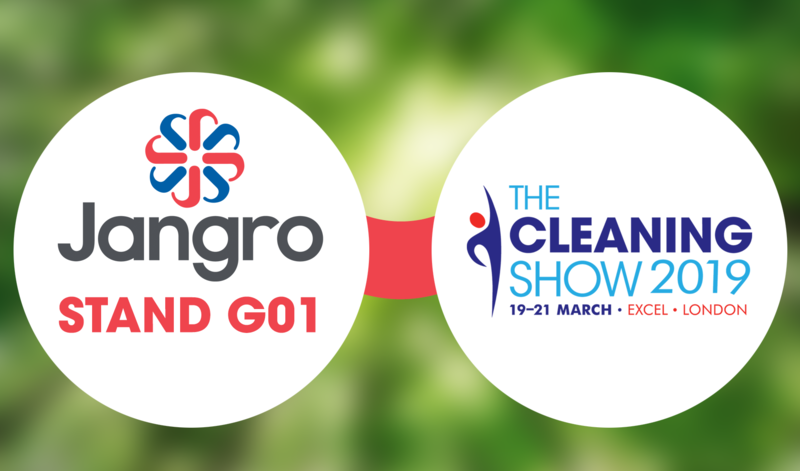 We are looking forward to hosting many of you at our stand (G01) to offer advice, information and talk all things Jangro, including the many benefits of partnering with us. Sign up to our newsletter for exclusive news on what we will be doing at this year’s Cleaning Show including details on our VIP tickets! Technology has been making great strides forward over the last few years, becoming ever more accessible and relevant to the cleaning and janitorial industry. We regularly introduce innovative products, training platforms and techniques and are constantly monitoring new technologies closely. In fact, we’ve been working on some top secret innovations of our own – watch this space! At Jangro, we are passionate about improving health and safety in the cleaning industry, advancing standards and highlighting best practice through training. We are extremely proud of our award-winning e-learning platform, the Learning Management Solution (LMS), which is free and accessible to all Jangro customers and their staff. We are constantly making improvements which includes a simpler login and sign up process allowing customers to use their social details for easier access. We have also introducing new content, such as Task Cards, our short easy-to-understand visual best practice guides with more enhancements released throughout the year. Winners will be announced at the Cleaning Show – fingers crossed! We are very excited to announce that our brand new Cleaning & Hygiene Catalogue is currently being worked on with lots of innovative and sustainable products – we can’t wait to tell you more about it. Remember, all of our subscribers hear everything first! You can sign up now here. < Jangro triumphs in CHSA audit!